The project objective is to create manufacturing of medical wipes, masks and shoe covers. the purchase of raw materials. Planned production capacity: about 12 700 650 ths items per year. Capacity of equipment for the production of blanks for masks is 120 pcs / minute. Capacity of equipment for welding elastic rubber loop laces to blanks is 25-30 pcs/ minute. Capacity of equipment for finished and packing is 50-60 pcs/minute. Medical Disposable Mask (three-layer) – produce from high quality synthetic non-woven material (type spunbond) and paper filter, have good air-crossing characteristics and does not restrict breathing. Disposable Shoe Covers – based on contain chlorinated polyethylene. 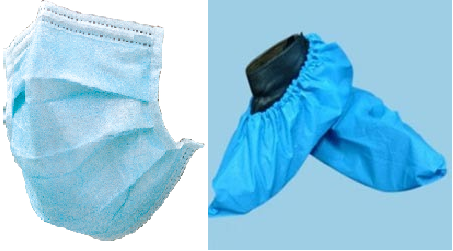 Wipes for patient – lint-free fabric structure. The company has agreements with domestic and foreign partners. Medical products, which are planned to produce, are in demand in the market of medicine in Ukraine and in Europe.